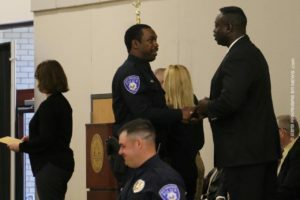 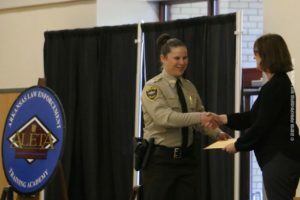 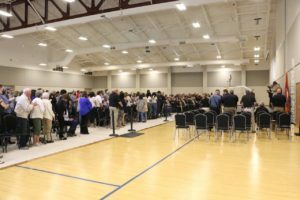 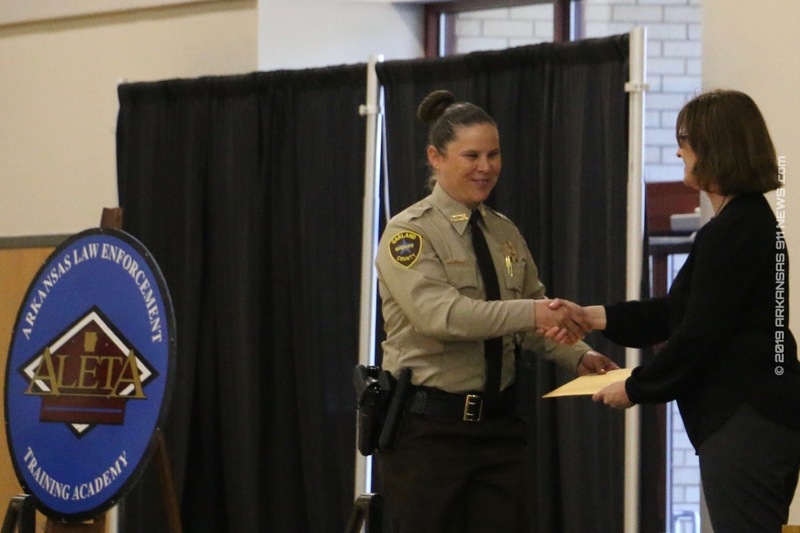 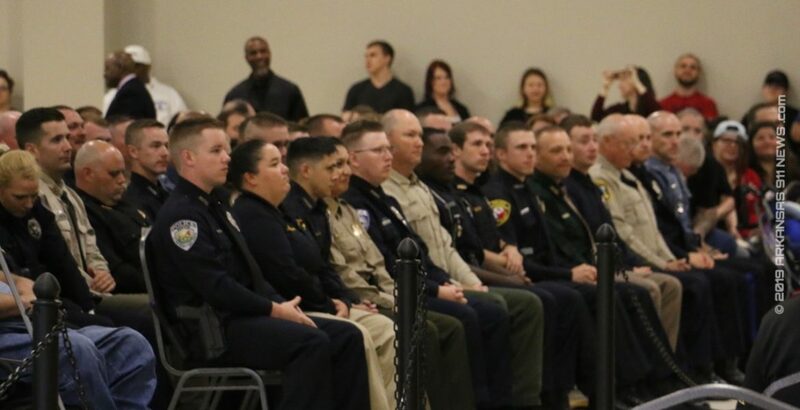 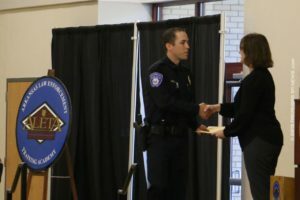 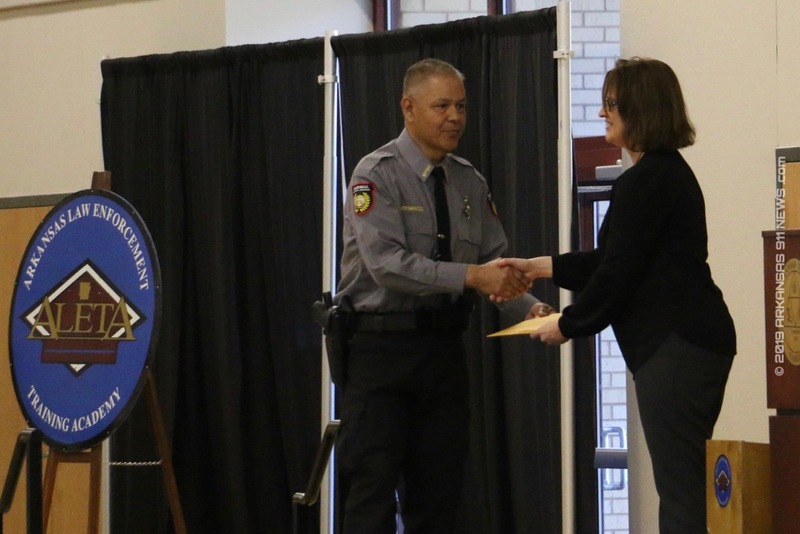 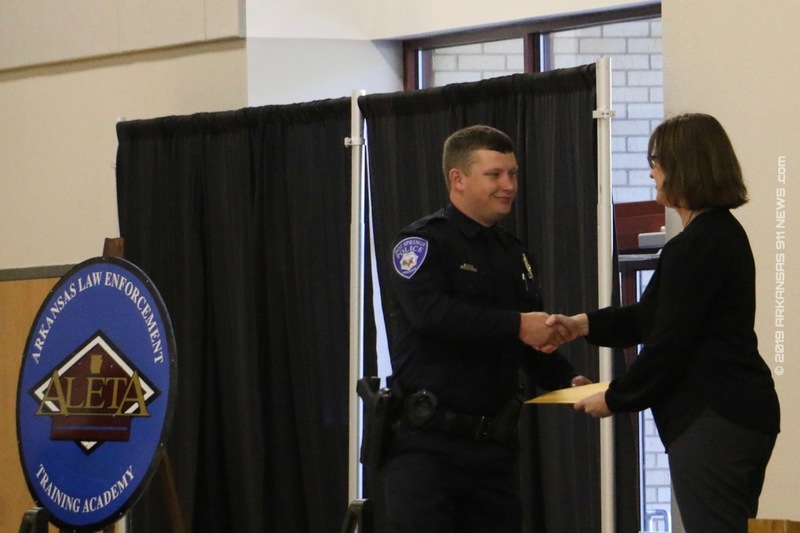 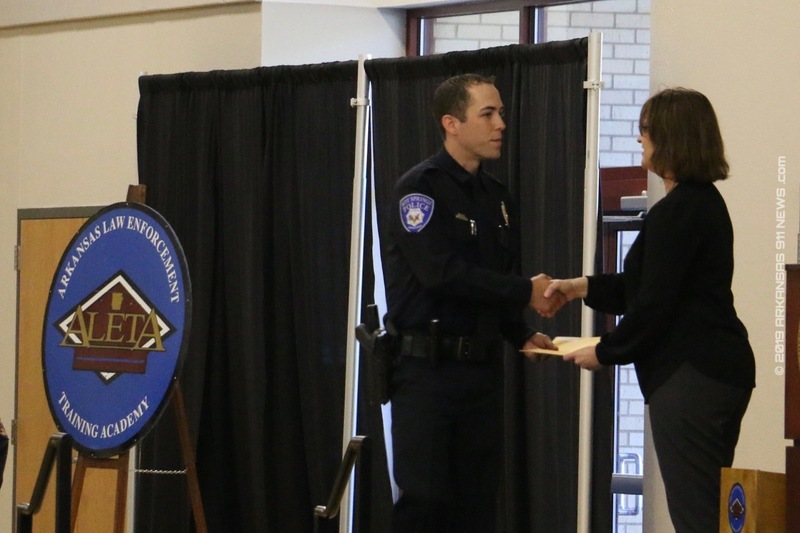 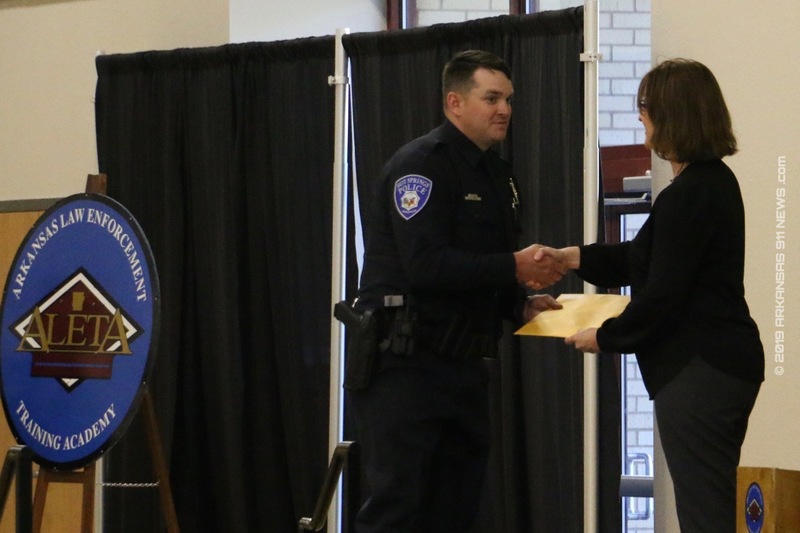 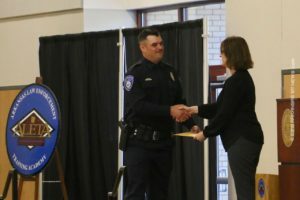 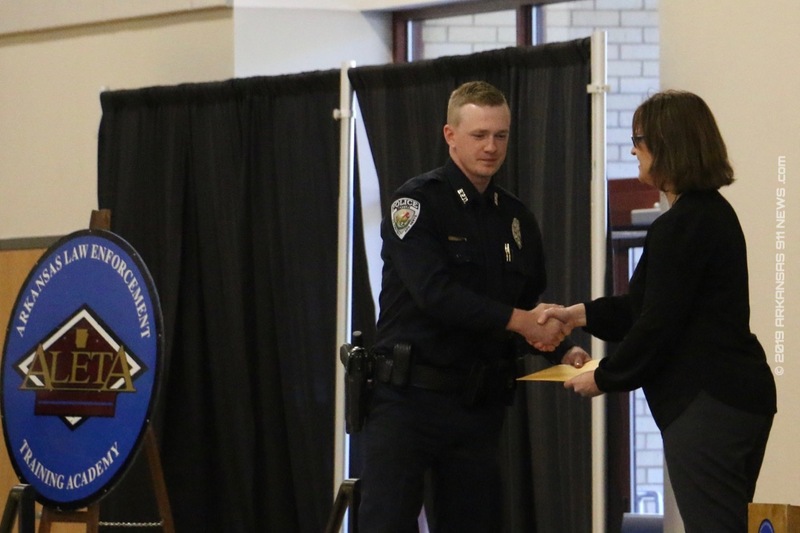 The Arkansas Law Enforcement Training Academy graduated 83 newly certified law enforcement officers yesterday during the graduation ceremony at the Southern Arkansas University Campus. 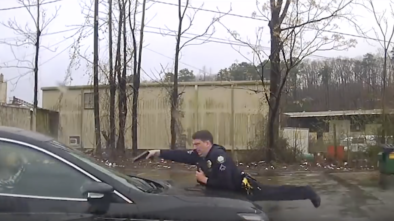 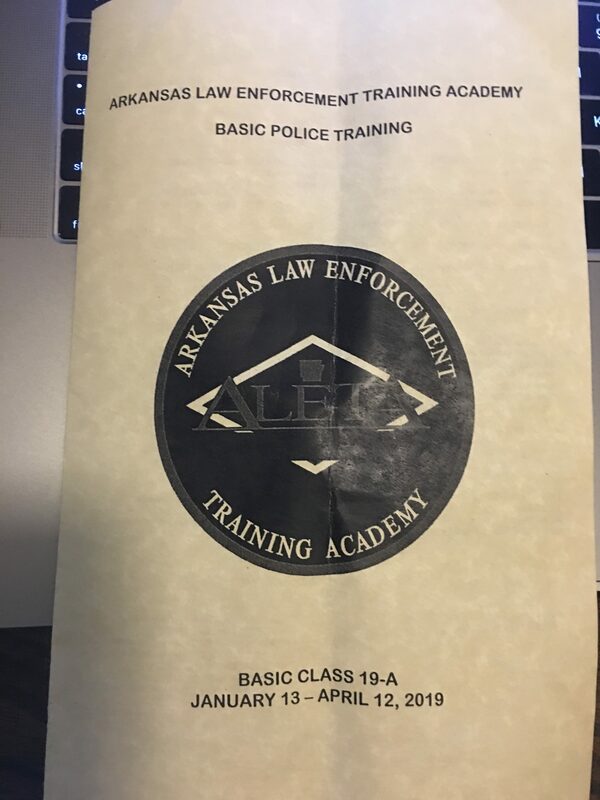 Officers from around the state attended the 13 week school that teaches the basics of police work. 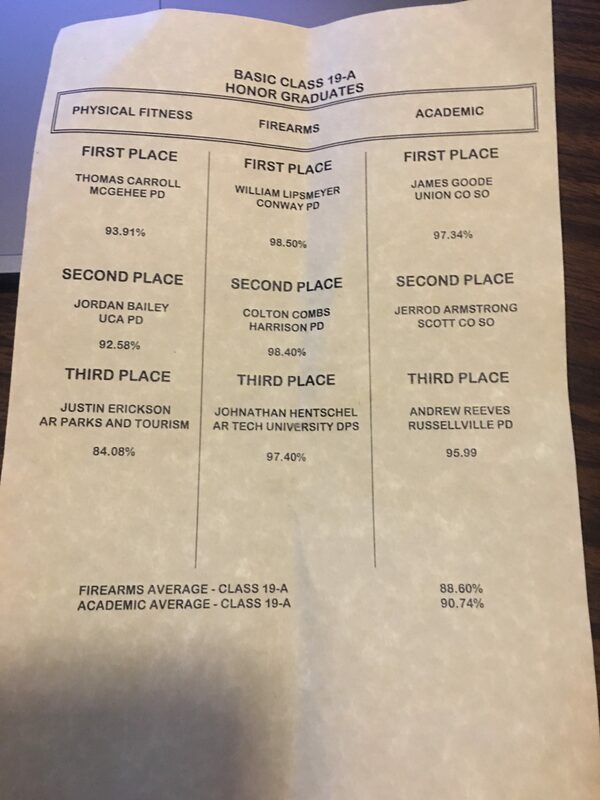 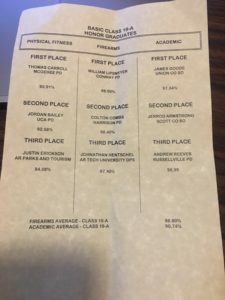 A few of the graduates were presented with awards during the school. 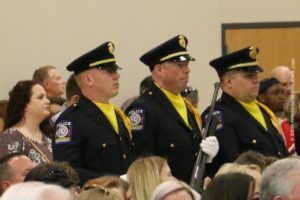 some of the graduates served as Class Leader and Squad Leaders that were tasked with extra responsibilities while going through the academy. 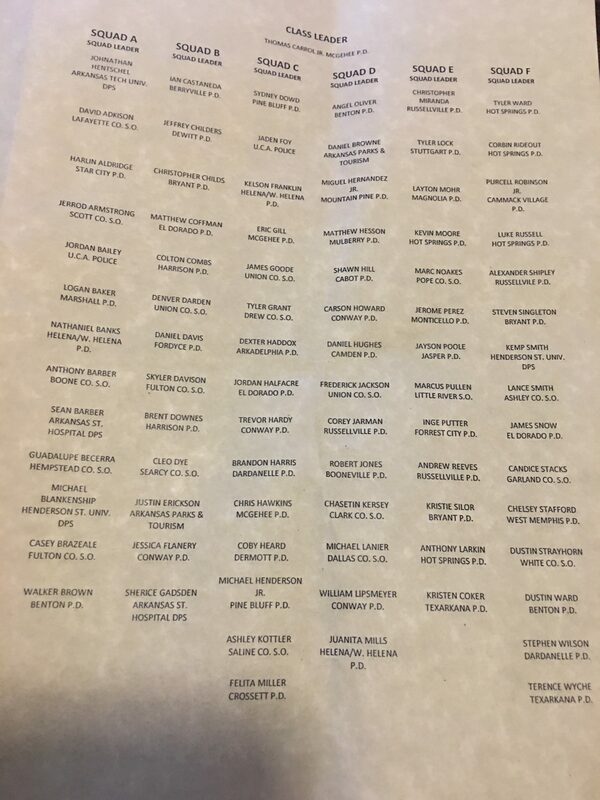 These officers were recognized at the ceremony and in the programs that were handed out to attendees as they arrived at the venue. 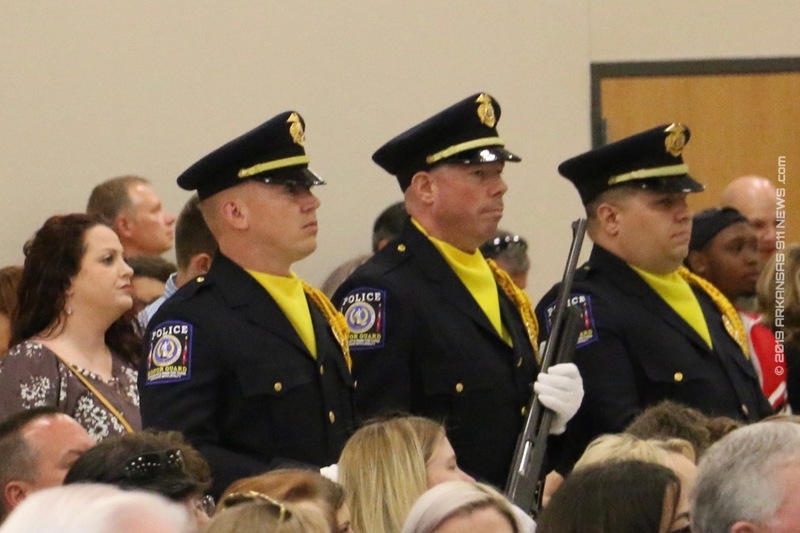 The Arkansas Chief’s Association Honor Guard presented and retired the colors and Arkansas Attorney General Leslie Rutledge was the guest speaker for the event. 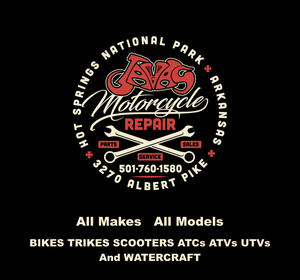 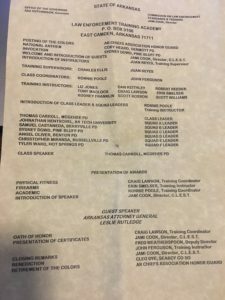 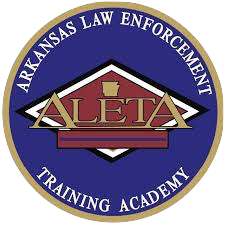 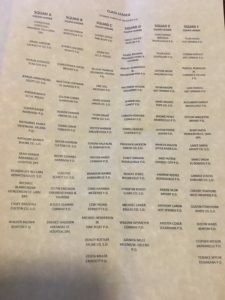 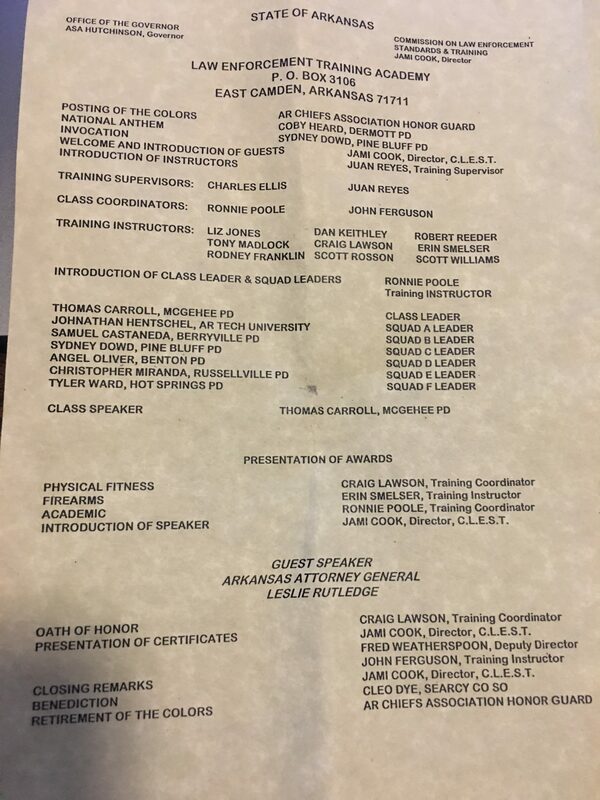 Please click on the pics of the graduation program below for the names of the ALETA Training Instructors, the ALETA Graduates and others that participated in the ceremony yesterday.